Featuring an Art Deco twist on our regular Quilted Blanket, this one features stitching in an elegant, repeated curve pattern. 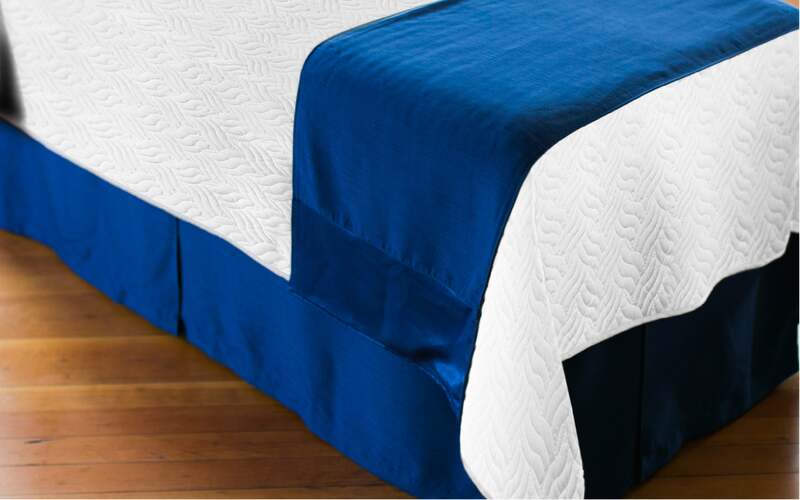 Best for those seeking a breathable blanket option as Comphy’s microfiber is designed to wick away moisture. Lightweight, breathable, yet still soft—this blanket is a must for any treatment table. Machine washable on delicate cycle. Hot wash, cold rinse and light dry. Do not use bleach. We recommend water-soluble massage oil, lotion or cream. We guarantee our sheets against staining for 300 washes, except when used with grapeseed and jojoba oils.